How important is touch in your relationship? New research reported in the New York Times suggests that couples that engage in more touch report higher levels of relationship satisfaction. This might sound like common sense, but it is also a good reminder of what helps sustain successful relationships. Although it is hard to know what came first for these couples, the relationship satisfaction or the touch, it is clear that there is a link between the two, and that touch is a powerful tool for building relationships. Think about how much touch babies experience from the time they are born and it is not hard to understand why touch may be so important and powerful for us. Babies that are neglected or receive less touch do not thrive. We also know that a baby that is not touched will die, even if it is given the required nutrients to grow. 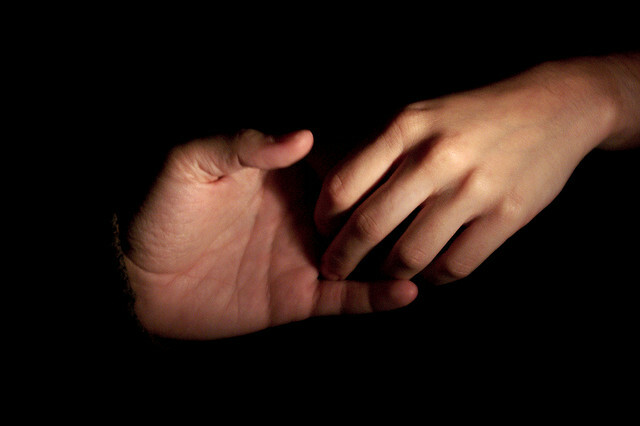 One of the reasons that touch is so powerful is that it can communicate a wider range of emotion than words or gestures. And it communicates it much faster. Think about the last time you felt a supportive hand on your shoulder, or a long hug with your partner. Or perhaps you have had the experience of feeling a lingering touch on your arm or hand, and you knew on some level it just didn’t feel right. All these experiences of touch are communicating very different messages directly and succinctly. Your brain has interpreted their meaning and intention within a split second. You know if you are safe, in danger or need to protect yourself. This has got me thinking about the power of touch in relationships. Many couples I see report that they are feeling disconnected from their partner and that they feel like they are drifting apart. When I inquire about touch, I am not surprised to hear that their relationship has entered a barren desert of little or no touch. I think touch is an essential part of a satisfying relationship. If you are finding that you are missing touch in your relationship, consider some of the following suggestions where you can increase the levels of touch in your relationship. Holding hands when you are watching television or walking outside. Stroking your partner’s head or neck when they are sitting at their desk. Taking 5-10 minutes to engage in non-sexual massage each night before you go to sleep. Holding or spooning each other in bed while being still. Hugging your partner before you leave for work for a minimum of 20 seconds. Rubbing your partner’s feet with warm oil or moisturiser while relaxing on the sofa. Giving your partner a neck massage when they are feeling tired or stressed. Laying in bed facing each other and caressing each others face and body. Do you engage in these forms of touch with your partner? You may be aware that some of this type of touch is absent from your relationship. Consider what happens that stops you from touching your partner. What are the blocks or difficulties you have with touch? What did you learn about touch from your family and previous relationships? Often the messages we picked up in our families, spoken and unspoken, have had a powerful effect on our values and beliefs around touch. If you know that you have difficulty with some forms of touch, talk to your partner about this. Together you can discuss what you both need and how you can support each other in creating a relationship vision with the type of touch that you want from each other.